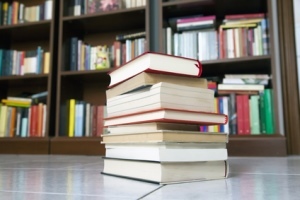 What Happens When Your Nonfiction Niche Goes Belly-Up? - Write Nonfiction NOW! 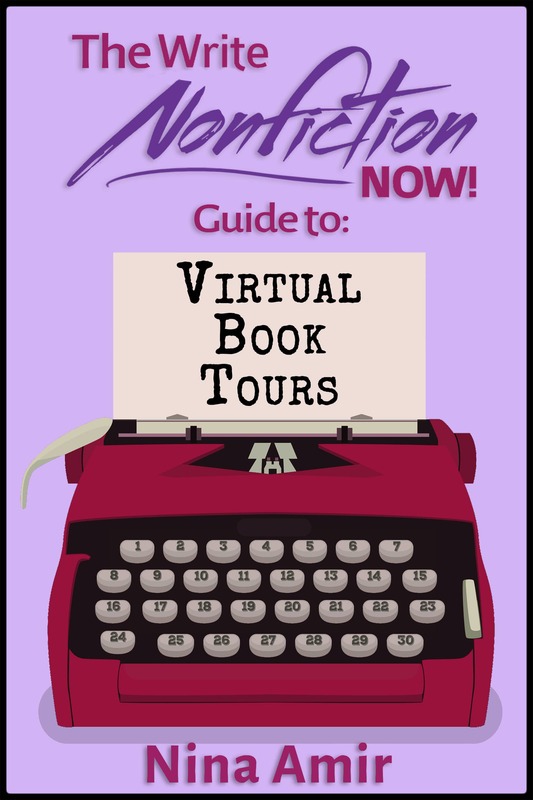 You’ve heard the advice to choose a nonfiction niche for your books and blogs, and you took action. But what if your niche suddenly plummets in popularity? What do you do then? In today’s guest post, Jay Artale (@BirdsOAFpress) ,a digital nomad and full-time writer and blogger, explains how she handled this very situation. Discover some powerful tips on how to niche-proof your work. 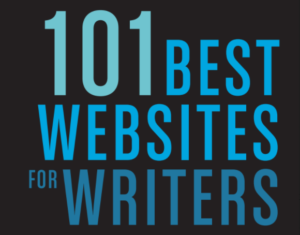 You don’t have to be a prolific nonfiction writer to have read about the importance of identifying your audience and choosing a specific content niche. Why focus on these two elements? They help you build your brand and establish yourself as a subject-matter expert. When I first started my Bodrum travel blog my target market was independent travelers who wanted to get off the beaten path and have travel experiences in Turkey rather than a vacation. They were baby boomers with a budget, and I wrote my blog content, free PDF downloads, and travel guides with them in mind. I loved traveling, researching, and writing so much that I abandoned my corporate career in Los Angeles and relocated to Turkey to become a full-time writer and author. Over the years, my blog metrics grew from five visits the first week of launch (and I think most of those were friends!) to over 65k during the peak summer months of high season. I was well on the way to being the destination expert for the area and was lulled into a false sense of security that the only way was up. Take a look at the audiences associated with your target niche. A failed military coup occurred in Turkey during July 2016 while the country was still in the throes of the Syrian refugee crisis, which had enveloped the Bodrum area in a shroud of negativity, especially in the foreign press. This perfect storm of events meant foreign tourist numbers diminished. By this time, I’d written two travel guides about the Bodrum area and was working on two more. As my site visits began to leak away and my book sales plummeted, I knew I needed to diversify to maintain my new lifestyle. I toyed around with writing additional travel guides, and, although l do have some currently in the works, I decided to diversify even more. Sometimes it’s difficult to see what’s staring you in the face. So I toyed around with fiction projects and wrote a couple of poetry collections (both passion projects), but none of these excited me like travel writing. My nonfiction niche was writing travel guides. That meant I could teach people what I knew about writing and self-publishing travel guides. I’ve picked up so much information through my own indie author journey, and there is always a new round of writers looking for tips and advice about how to write and publish. 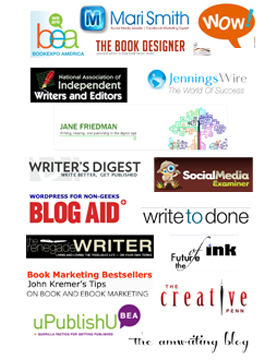 The self-publishing arena is continuously evolving and changing. Although I love researching, I know lots of writers just want to be handed the answers or presented with the best options available, rather than trying to figure out the best path all by themselves. So rather than delving into fiction, I opted instead to expand the scope of my writing niche and to teach what I knew. I wrote a book about Freewriting for Travel Writers, which is a topic I was passionate about. The ebook and paperback are a constant top seller for me. I’m two books into a four-book series about writing and self-publishing a travel guide. 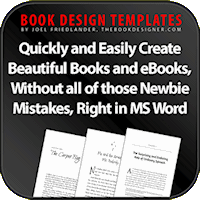 Each book covers a specific topic—planning, writing, publishing, and book marketing—and provides writers with multiple options depending on their skill set and budget. I released these in paperback and was surprised when the paperback sales overtook my ebook sales. My travel guides are no longer my primary source of income. As well as writing nonfiction books targeted at travel bloggers and travel writers, I also created a couple of paperback writing prompt workbooks that are companion guides to my Freewriting book, and I’ve started publishing a series of five-senses blank journals for writers to capture the sensory elements of their travel adventures. I opted instead to expand the scope of my writing niche. A few years have passed since the failed coup in Turkey. My travel guide books sales have started to increase again, and my travel blog metrics are on the rebound. That’s why this year I’m focused on updating my travel guide information and will release a new version of each guide in time for the beginning of the travel season in June this year. My plan going forward is to hedge my bets by navigating between my travel guides, my travel writing, and self-publishing books. I no longer have all of my eggs in one basket. Of course, this new sub-niche meant that I had to launch a new blog. The travel writing and self-publishing content wouldn’t have fit well on my Bodrum travel guide website. Although I could have used my personal travel blog for these travel guide books and content, I wanted to keep my content corralled by target audience and topic. So I launched my own Indie Author Press and built a website to attract travel writers and travel bloggers. I love all of my blogs the same and show no favorites, but I secretly love my Indie Press blog the most. I write the most prolifically there, and, while I try to limit myself to two blog posts a week, I usually publish more. This is because I’ve found a passion for a topic, and am excited to share what I have learned with other writers and to help them achieve their author goals. This new direction has been an evolutionary process, but it makes complete sense given that my original brand concept was to focus on travel guides. I promote my blogs and my books to a specific target audience, but there’s a natural overlap between them. The target audience for which I’m writing travel guides could also be travel bloggers themselves hoping to write their own travel guides. As well as building and maintaining a new blog, I set up new social media accounts to reach my travel writing audience. Because of the symmetry between my target audiences, I can share some of the same content across Pinterest, Twitter, Instagram, and Facebook accounts. It’s double the accounts to manage, not double the work. If you’re focused on a narrow nonfiction niche and are worried about being too dependent on one topic, take a look at the audiences associated with your target niche. See which additional niches provide potential opportunities. You could expand into a related nonfiction niche. For example, I could have written generic travel guides about packing tips, traveling with pets, or solo female backpacking, which would have broken the dependency on a specific destination. Instead, I looked at reaching a target audience with similar goals to mine and focused on teaching what I know. This approach is simple to replicate, no matter the nonfiction niche in which you write. 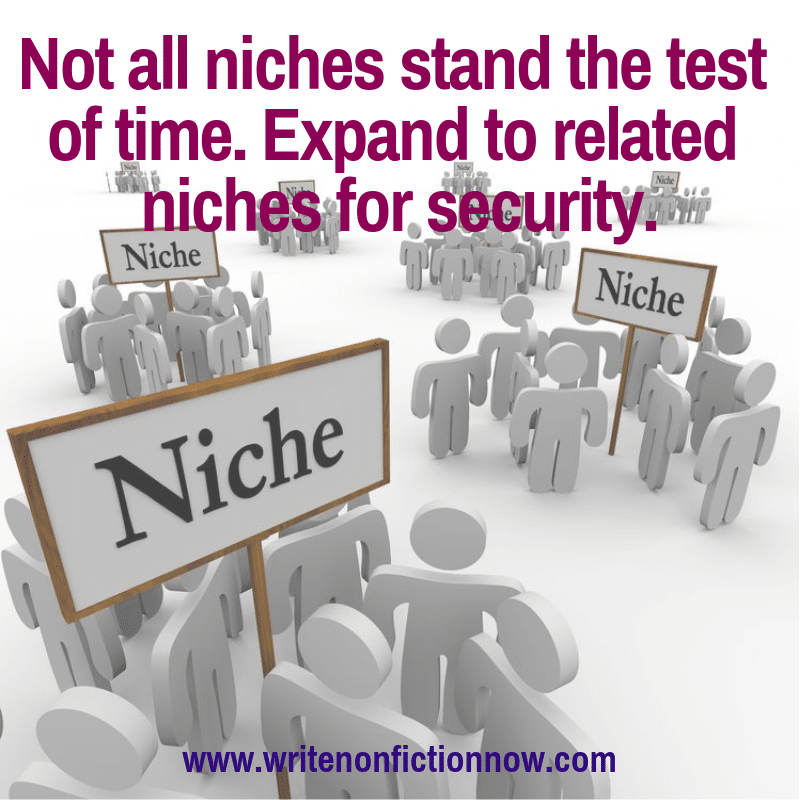 Is your niche secure? Have you considered branching out into related niches? Tell me in a comment below. Jay Art ale abandoned her corporate career to become a digital nomad and full-time writer. 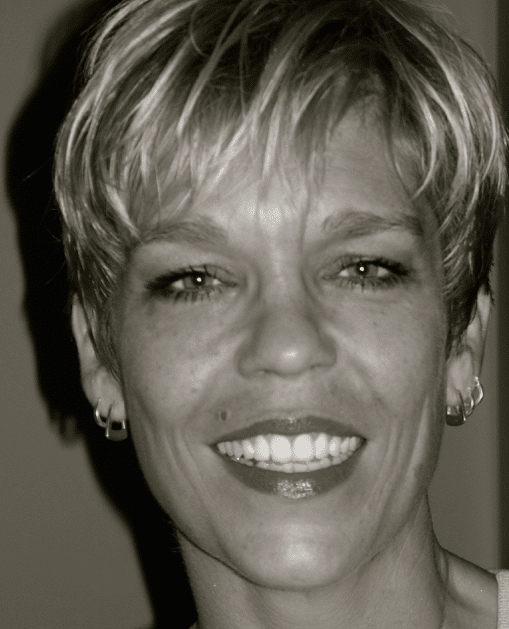 She’s an avid blogger and a nonfiction author helping travel writers and travel bloggers achieve their self-publishing goals. 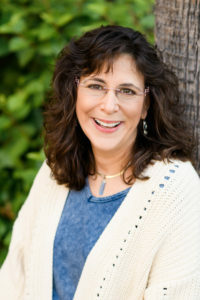 Join her at Birds of a Feather Press where she shares tips, advice, and inspiration to writers with an independent spirit.